The color of Aurple Aventurine is provided by the Lepidolite contained within it. Purple Aventurine can be used to support dream recall and interpretation. It is known as a protective stone. 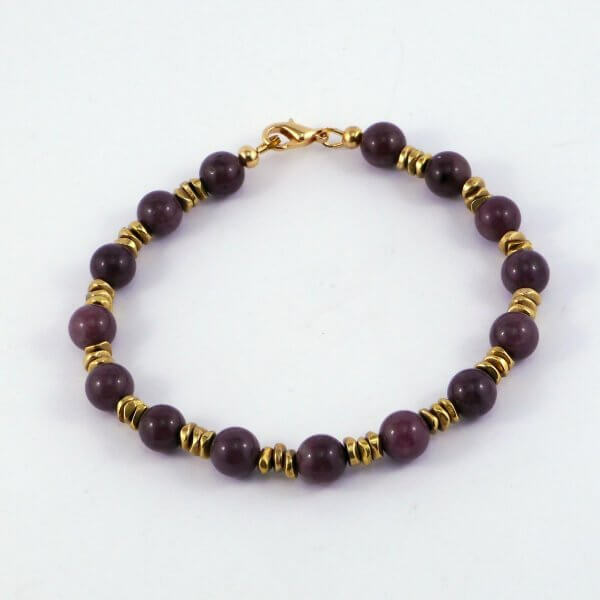 Brass & Purple Aventurine Bracelet. Triple sets of thin brass nuggets separate the Purple Aventurine stones in this gorgeous brass & Purple Aventurine unisex style bracelet. This Brass & Purple Aventurine bracelet measures approx 20cm and is completed with a lobster clasp.